One of the rarest and environmentally sensitive land and sea ecosystems in the western Pacific is under threat of mega-development. Punta Arena (Sand Point), on the edge of Cabo Pulmo Marine Park - a UNESCO World Heritage site protecting the only hard finger coral reef on the North American Continent and just 60 miles north of the resort corridor of Cabo San Lucas on the East Cape of Baja Sur, Mexico - has successfully fought two previous mega-resorts, most notoriously Cabo Cortes, named for the Spanish explorer Hernando Cortes who discovered the Baja Peninsula. In 2012, the Mexican Ministry of Environment revoked Cabo Cortes's provisional development permits, "due to unresolved management judgment" regarding its impact on the Cabo Pulmo Coral Reef. But the developers refused to give up and re-organized. Now, in a deal spearheaded by former Mexican President Vicente Fox and brokered by Altavista Partners, also known as Leisure Partners, with Chinese real estate consortium, Sansong Beijing International Trade Group, Cabo Cortes has become Cabo Dorado. Altavista/Leisure Partners, headed by John McCarthy, former Director of the Mexican National Tourism Promotion Fund (FONATUR) during Fox's Administration and Gustavo Ripol, formerly in charge of promotion for "the Cabo Cortes tourism real estate mega-complex", has made a deal with Paul Zhang, CEO of Sansong Beijing International Trade Group and what appears to be a shell company, Glorious Earth Group, LLC, (incorporated by Zhang in Irvine, California in 2012), acting in Mexico under the name The BCS Rivera Development Company. Due to unethical practices, the World Bank has blacklisted two of the construction companies associated with Zhang, China State Construction Company and China Communications Construction Company until 2015 and 2017, respectively. 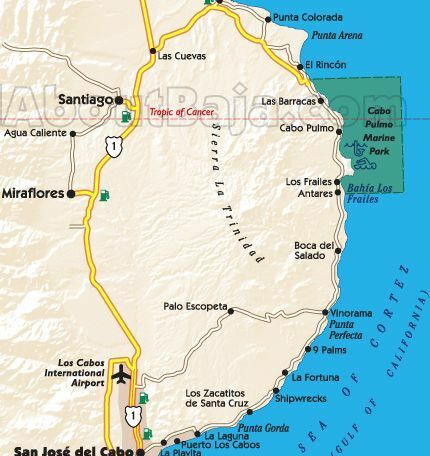 Altavista's website does not advertise its hand in the Cabo Dorado development, but still advertises the cancelled Cabo Cortes as a viable project, saying that "the commercial plan...involves the sale of urbanized land lots with access to a series of amenities and services...(like golf, beach clubs, commercial and leisure zones) for subsequent development of tourist real-estate and luxury hotel projects aimed at high-wealth segments of the population." Leisure Partners website does not advertise Cabo Dorado either, but advertises McCarthy and Ripol's experience in the hotel and tourism real estate industry in both the private sector and the federal government and advertises three hotel resorts it is developing at what they, too, are still calling Cabo Cortes: Fairmont Resort and Residential, Conrad Hotel/HVCG, and Le Meridien Resort & Residential. Fox has a history of brokering developments on the Baja Peninsula. 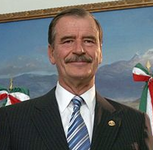 In 2001, during his presidency, Fox flew to Santa Rosallilita, a small fishing village on the Pacific Coast of Baja Norte to announce a new development, The Nautical Ladder, which he called the "Cancun of the 21st century." "Soon after," according to the Los Angeles Times, "construction crews descended on Santa Rosalillita, a collection of faded pastel homes with one paved road, no hotels and no restaurants...The project's supporters said that if anyone can tame Baja, it's FONATUR (then under the direction of McCarthy), which transformed Cancun from a forgotten spit of Caribbean coast into a 25,000-room super resort that attracts 3 million visitors a year. The agency also created sprawling Pacific tourist centers in Ixtapa and Los Cabos." The $1.3 billion Nautical Stairs development project claimed it would bring jobs, roads, electricity, and 27 new or revamped marinas, hotels and spas along 1000 miles of coastline. The project met resistance from government agencies and NGOs for its potential negative impact on the environment, and was halted after Fox left office in 2006. It remains unfinished. Now, Cabo Dorado, across the Baja Peninsula, is slated to be the first joint Chinese-Mexican tourism investment project in Mexico and comes on the heels of Vicente Fox's visit to China in 2012 at the behest of current Mexican President Enrique Peña Nieto; and follow up visits to Mexico in 2013 by Xi Jinping, President of the People's Republic of China. 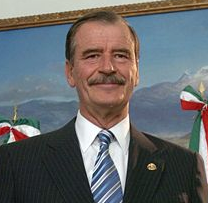 Jinping's Mexican visit was intended to smooth over relations. The two countries had been suspicious of one another, but Peña Nieto sought to improve relationships with China, taking advantage of China's expanding role in the construction of roads and railways; and additionally, opening export to China of commodities, including oil and pork. China, in turn, has aggressively entered the hospitality industry, seeking real estate investments in the Caribbean and Latin America. Recently, in an ad placed in Mexican newspapers, Beijing Sansong International Trade Group said, "In accordance with the agreements signed in recent months between Mexican President Enrique Peña Nieto and the President of the People's Republic of China, Xi Jinping...we announce that the La Rivera Development BCS Company (through the Irvine-based Glorious Earth Group, LLC ), in which we are investors, will carry out a new project on the East Cape." Beijing Sansong International Trade Group's "About Us" page with a copyright of 2014, says it "was created with the specific purpose of promoting investment and whose general strategy is to participate in construction of infrastructure projects, ports, roads, railways and hydropower...a multimillion dollar company that specializes in production and sale of coal, road transport services and railroad, and in general the production and sale of synthetic fuels from coal." 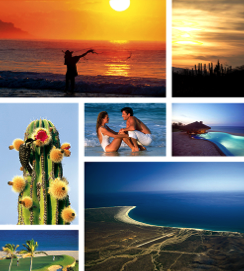 The page also features a collage that match images selling the cancelled Cabo Cortes Development site on Altavista's website Homepage. Cabo Dorado's history goes back to 2008 when McCarthy and Ripol as Altavista Partners received permits for Cabo Cortes to create a 30,000-unit resort, which they claimed, as Fox had once claimed about the Nautical Stairs project, would rival Cancun's 30,000 rooms. According to the Altavista website, McCarthy and Ripol were "the exclusive sales agents" for Cabo Cortes. Cabo Cortes's problems escalated when Altavista was issued permits to build a marina and desalination plant. Experts from around the world, citing among other issues, that the Cabo Pulmo Coral Reef is a crucial link in the world's coral reef system, presented studies showing that a desalination plant in the Sea of Cortes and pollution from the marina would upset the eco-system of the Cabo Pulmo reef, ultimately kill the coral and threaten the viability of 226 species of fish and threatening the livelihood of the local population. Following their research, an outcry from residents of the East Cape, national and international environmental groups, scientists, and the larger Mexican public generated 220,000 signatures in a petition to The Assistant Secretary for Management of Environmental Protection and the Head of the Directorate of Environmental Impact. 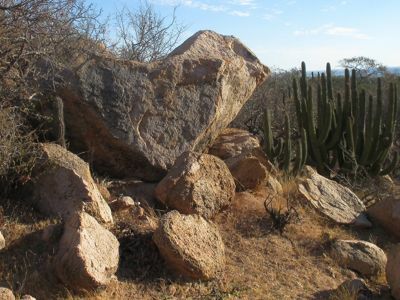 In 2012, under then-president Felipe Calderon, the Assistant Secretary withdrew provisional permits to Altavista and its then Madrid-based partner, Hansa-Baja investments "because the company failed to provide enough proof that the project would not harm the rich biodiversity of Cabo Pulmo National Park." Said Calderon, "Due to (the project's) magnitude, we need absolute certainty that no irreversible damage would be generated, and that with absolute certainty it simply and plainly was not generated." Greenpeace Mexico hailed the government's decision regarding Cabo Cortes, but said that it would press for investigations of authorities in Mexico's environmental agency and is continuing to press for transparency regarding environmental research and permits for the Cabo Dorado mega-resort. Water again is an issue for Cabo Dorado, but this time on land. Conagua, Mexico's federal water authority, has granted Cabo Dorado the right to tap into the Santiago aquifer, part of the biosphere of the Sierra Laguna Mountains. In a desert with little rainfall, where temperatures reach more than 100 degrees Fahrenheit in the summer, and the wind gusts up to 60 miles per hour in the winter, the BCS Rivera Development Company needs a steady supply of electricity and water to build and support Cabo Dorado, "a 4,080 room, nine-hotel complex with an additional 6,141 houses and apartments, two golf courses, an airstrip, a center of cultural exchange, a center for research in science and technology, a sports performance center, a university campus and a center of trade and investment promotion and a 14-kilometer (8 ½ mile) pipeline to extract water from the Santiago aquifer, the region's single aquifer." According to Greenpeace, Cabo Dorado has rights to pump more than four million cubic meters annually from the aquifer. (Over the past decade, the supply of water per resident in the nearby Los Cabos municipality has dropped by half.) Greenpeace also reports that the Santiago aquifer is the last remaining water reserve of consequence in Baja California Sur, estimating that the amount of water consumed only by Cabo Dorado's proposed hotels - without considering water demands from any other infrastructure - would seriously compromise the communities that depend on it. In addition, researchers at the University of California, Riverside, say that Cabo Dorado could become, "a city of potentially 200,000 people or more" in "desert lands (that) mirror the tropical waters in importance". Also, the dunes surrounding the sea are a "biodiversity hotspot" with 42 species of endangered plants and animals coexisting with more than 500 species of plants, animals and wildlife. According to research, with ongoing drought in the Californias, a development the size of Cabo Dorado would deplete the Santiago aquifer within thirty years, jeopardizing the future of the region. Dr. Eduardo Najera Hillman, Director of Wild Coast, Mexico, adds that pesticides and fertilizers will reach the Cabo Pulmo Coral Reef. "When it rains," he said, "chemicals and irrigation water will be discharged directly into the sea, as well as chemicals stored in the soil (sediment)." He said that, "Organophosphates, such as parathion and malathion-widely used on golf courses, gardens, and agriculture-are toxic to some species of coral." La Rivera Development BCS claims it is addressing all environmental issues. In late April/early May, Fox, McCarthy and Ripol joined forces to attend the Latin America Hotel Investment Opportunities (HOLA) Conference in Miami where Fox was the keynote speaker and McCarthy was co-chair. 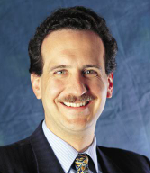 Said McCarthy, "radical reforms in Mexico have helped the overall economy and the hotel industry. They're revolutionizing the country in terms of preparing it for growth and for the future." In his keynote speech, Fox did not mention the hotel industry directly, but made it clear that, "600 million people in Latin America represent huge opportunities for business. That means opportunities, that means markets, that means growth. Governments don't create jobs. Those are created by investment." On May 8 in Cancun, at Tianguis Turistico, Mexico's largest travel show, in a keynote speech, President Peña Nieto said, "Tourism is the powerhouse that fuels our economy. Our government is committed to funding and pursuing tourism strategies that will place us in the top tier of global destinations in terms of revenues earned, visitors welcomed and developments launched." 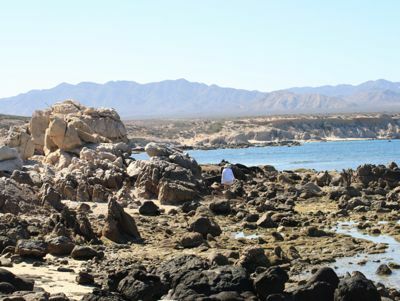 On Baja's East Cape, residents (some of whom have family that have lived in the region for more than 150 years) have been meeting with experts, scientists and NGOs to envision and create a realistic and sustainable future for the development of tourism. In an open letter, dated May 21 and sent to the current head of SEMERNAT, Juan José Guerra Abud, nearly 4000 national and international scientists and scholars protested the Cabo Dorado development. The letter cites twenty years of scientific research and studies demonstrating the catastrophic impact of a mega-development on the Punta Arena and Cabo Pulmo ecosystems, including the communities who live there. On June 15, SEMERNAT will make a final decision on whether or not they will issue permits to begin construction on Cabo Dorado. "We are not against building a better infrastructure for tourists and residents alike," say residents of the East Cape. "But we must also address the consequences of global warming and the ongoing drought." They add, "If we don't respect the fragile ecosystem of our land and sea, we will lose the land itself, Mexico will lose tourists, and local and new workers will lose jobs.